Big sigh. Autumn’s here, time to bundle up and add extra layers. And there’s no better place to get something with a bit of personality than at Glasgow’s many second hand shops and vintage fairs happening across the city. The Glasgow Vintage Company specialises in spectacular vintage items that won’t break the bank. This West End wonder’s friendly staff are happy to help, and whether you’re looking for that woolly jumper to warm up in, a dazzling dress or for dapper dudes, perhaps a top hat – it’s here. 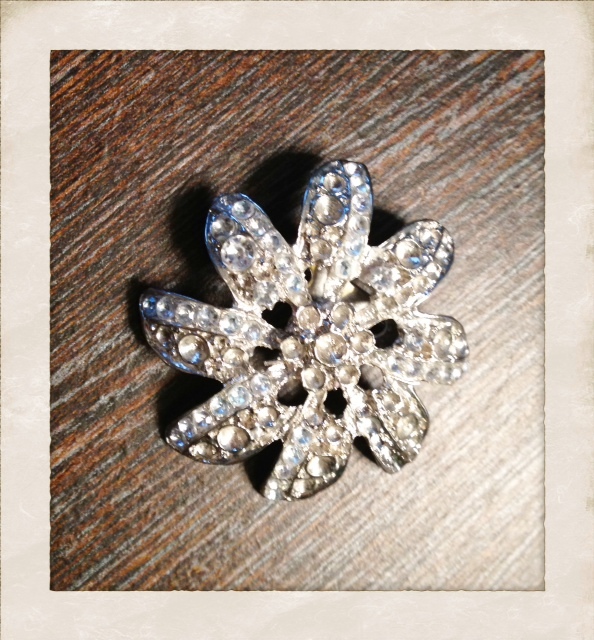 I’m delighted to find a vintage costume brooch for a mere £6. It may not keep me any warmer but it’s certainly heats up my outfit and is a bargain. Granny Would Be Proud is a West End treasure chest of interesting stalls and an eclectic mix of vintage and retro fashion, crafts, arts and anything in between. Its ideal setting at the Hill Head Book Club means you can have a good nosy and satisfy both your fashion desires and a rumbling tummy. Normally held every second Sunday, their next event is on 7 October. 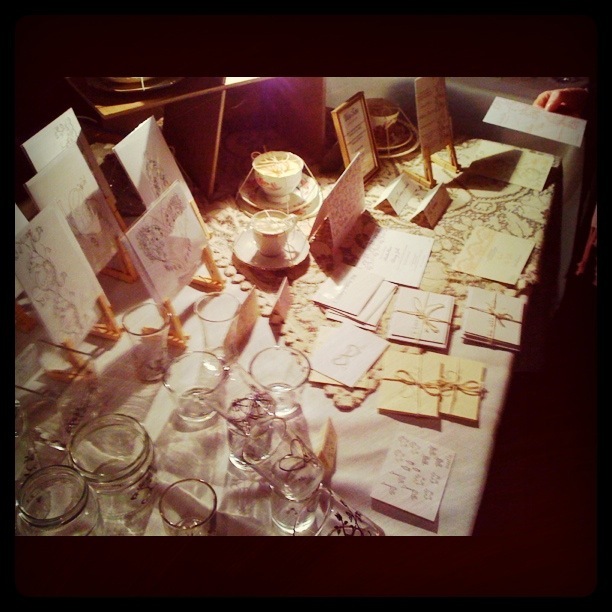 The South Side’s Afternoon Twee is a vast vintage fair held at the Tusk Club on the last Sunday of the month. Free entry in – a slew of vendors offer everything from vintage clothing to new independent designs as well as jewellery, cakes, trinkets for the house and other charms like quirky owl pillows, beautiful stationery and delicate glass delights. If you’ve got the time, there are endless options to discover. If you can catch it, Gin in Teacups is a fantastic travelling fair with dates around Scotland – including in Glasgow. Here Camden punk meets Paris chic topped off by Art House Tacheles in Berlin. This melting pot of independent sellers offer a distinct and diverse selection of fashion, cakes, records and rarities at ‘cheap as chips’ prices. Check their site for upcoming events. Slightly off the beaten path on Hydepark Street is Saratoga’s Trunk – an absolute treasure trove of vintage glee. This long-standing savvy specialist is a massive warehouse overflowing with thousands of wonderful finds including costume jewellery, vintage clothing, accessories and even props from the Victorian age through to the 90’s. Admittedly this isn’t for the everyday occasion and is more expensive than the other shops. But if you’ve got something special coming up, it’s definitely worth a look. Alternatively you may be able to hire some items. Viewing is by appointment so give them a call 0141 22 4433 to book a time to explore their impressive selection.